Start 2015 with a Clean Carpet or Oriental Rug! Over the course of a year, your carpets and rugs go through a lot. They collect large amounts of dust, dirt, and stains. Carpets and rugs in areas of high foot traffic experience wear and tear that can further diminish their appearance. Pets and small children can also provide damage to your carpets and rugs. It is best to have your carpets and oriental rugs cleaned at least once a year. Carpets and rugs that see more use may need to be cleaned more often. The start of the year is a perfect time to start fresh, and have your rug or carpet cleaned and repaired. 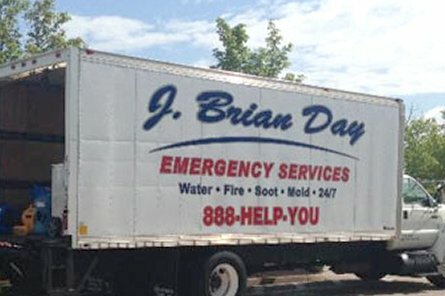 At J. Brian Day, we offer affordable, same-day carpet cleaning for both residential and commercial customers. Using industry-leading carpet cleaning techniques, we thoroughly inspect your rug for any stains or damage, and ensure that your rug is returned clean, dry, and smelling fresh. J. Brian Day is also an expert in oriental rug cleaning and repair. When repairing or cleaning your oriental rug, we take complete care and treat it as if it were our own. Our rug cleaning experts ensure that the colors do not run, and that all spots and stains are completely removed. For your convenience, we also offer FREE pickup and delivery of your rug, and flexible appointments to work around your busy schedule. Start 2015 off right and give your carpet or oriental rug the cleaning or repair it deserves! For more information on our cleaning and repair services, please contact us today!